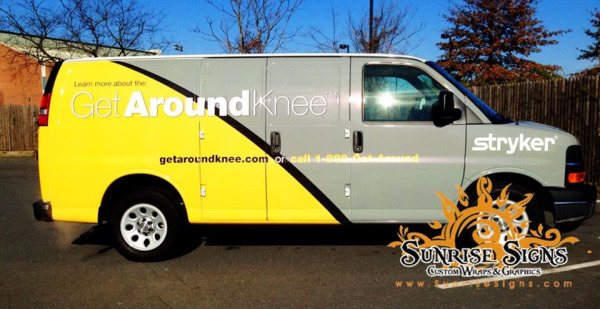 What does a commercial sign company do when a well-known manufacturer of knee-replacement medical devices asks to get their fleet noticed faster? Why work with them on the design and installation of vehicle wraps and graphics on not just one van—but 15! The client Stryker. The result, sharp, crisp and clear messaging that promotes the brand and the product 365 days and year!